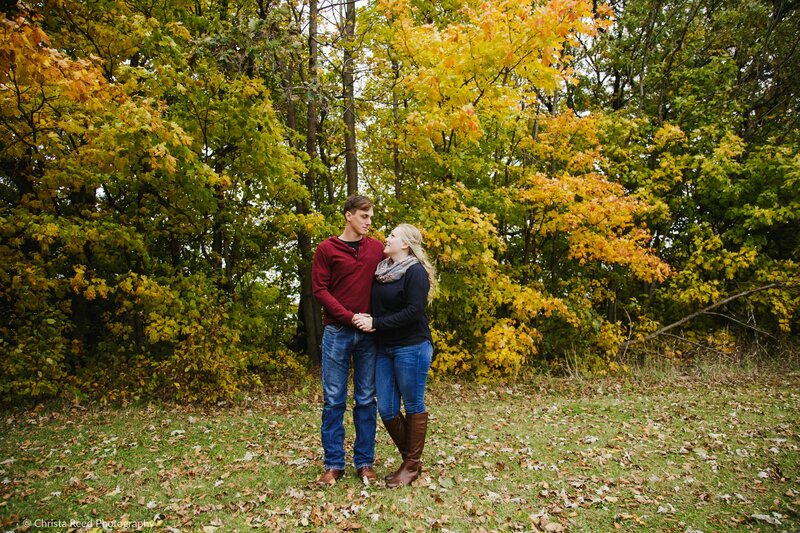 Madison & Joseph’s Fall Engagement Shoot in Henderson. 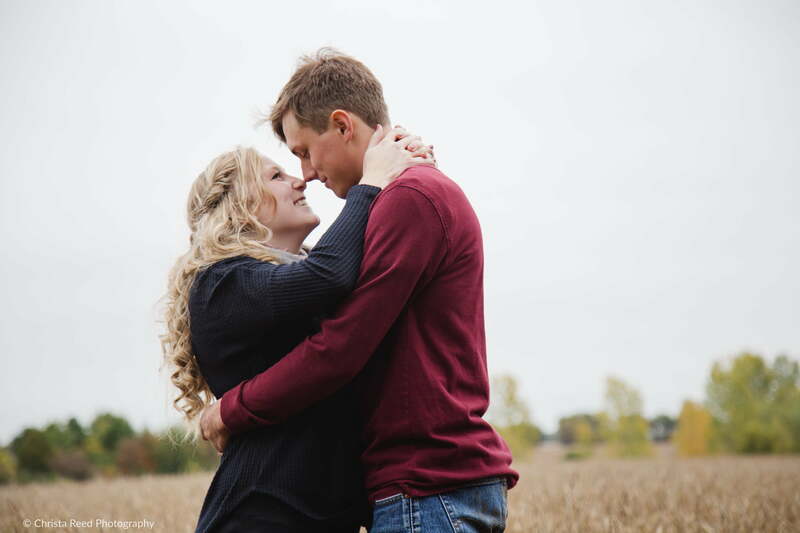 I love the simple and romantic vibe of this Henderson Minnesota engagement shoot. 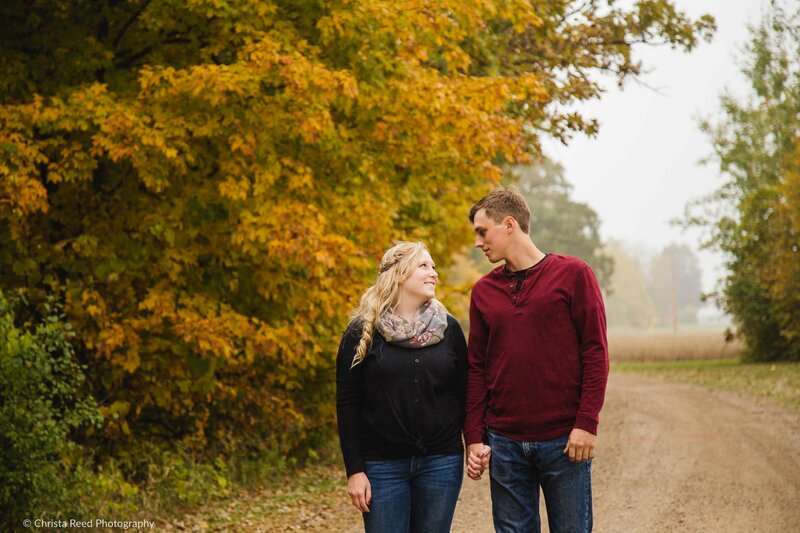 Madison and Joseph wanted to do their shoot in a location close to Belle Plaine with lots of fall colors. 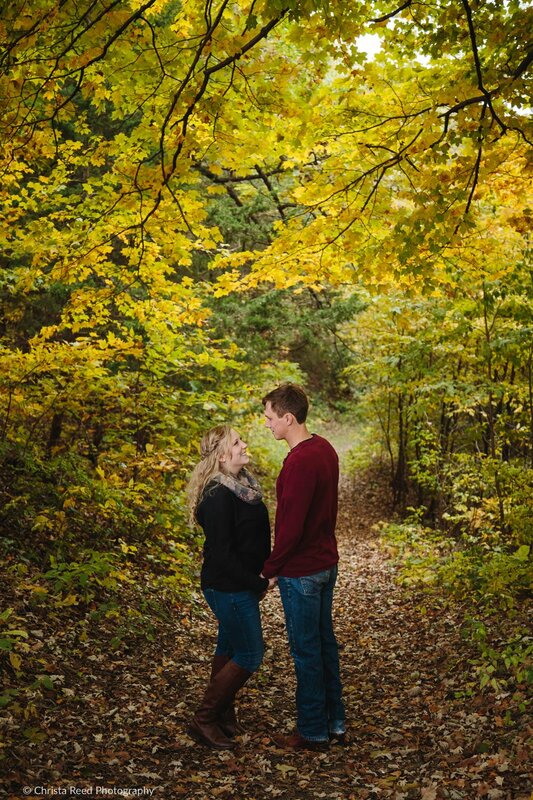 Thanks to all the rain in southern Minnesota the leaves stayed green a really long time, but I knew a place close by to give us the best chance of vibrant leaves. 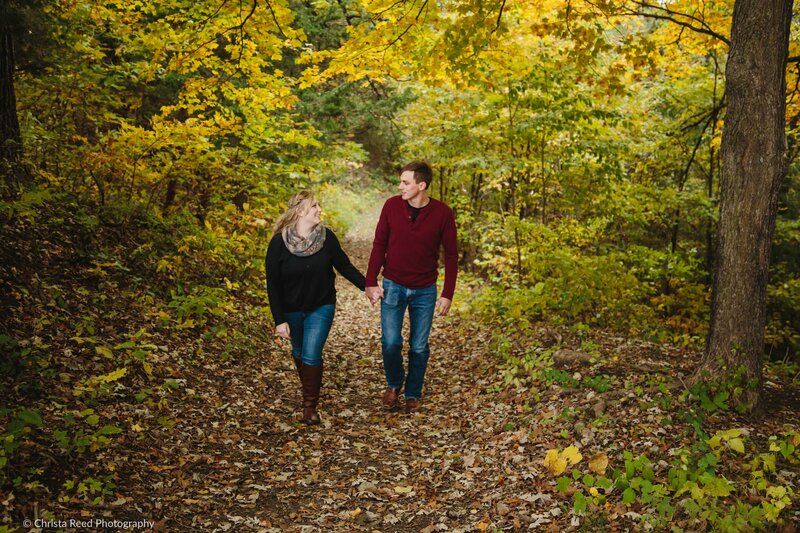 Dressing in reds and browns also helped this couple have a classic fall feeling to their shoot. 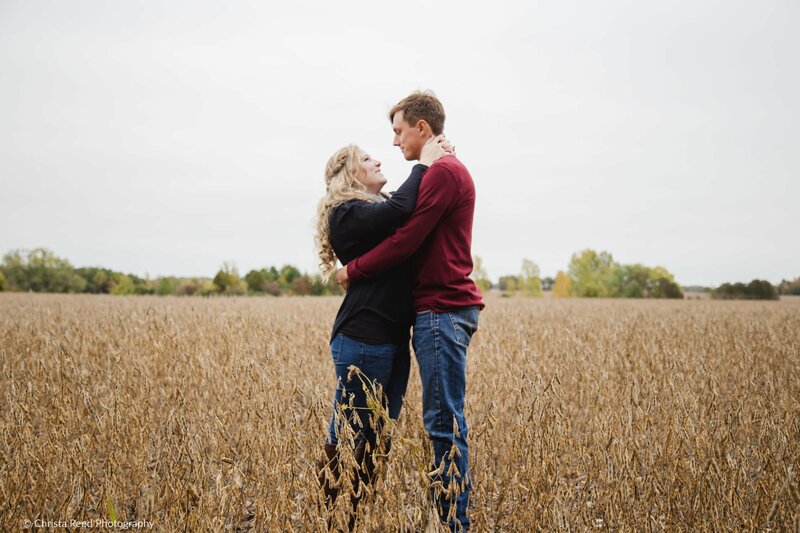 Like most engagement shoots I do out in the wilds of our Minnesota landscape, we were able to walk and talk between poses, and when we reached the open field Joseph realized he’d been here before! His cousin’s farm was close by and they used to sneak through the fields together when they were younger. 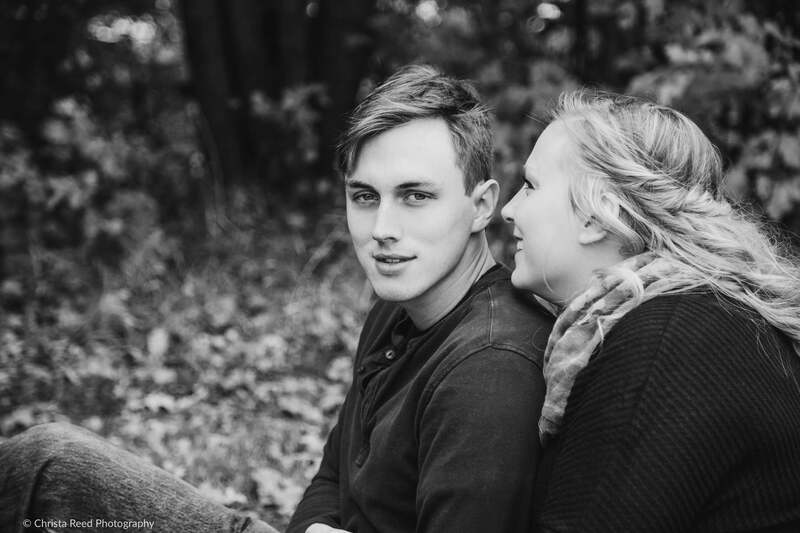 It’s very fun to take couples out for their engagement shoot and learn more about them. I try also to find places that have a personal meaning to people when I photograph them, and I was really happy that Joseph was able to remember some fun moments from childhood at this spot. 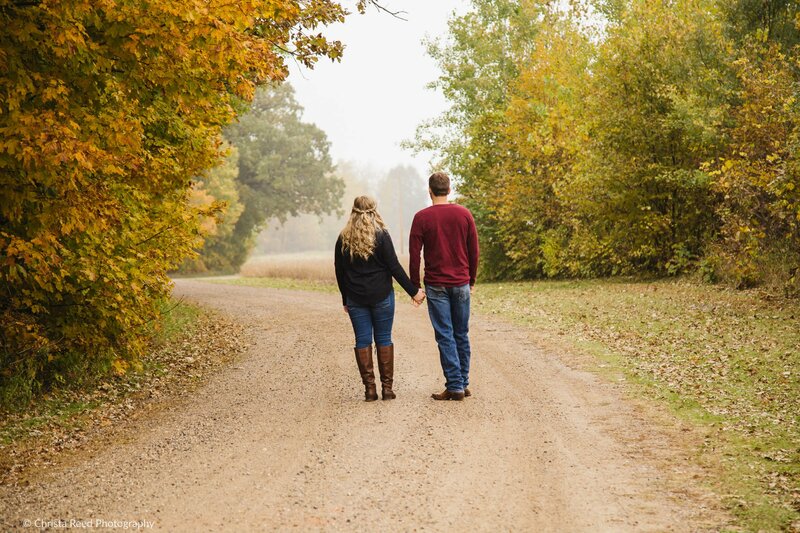 Henderson Minnesota engagement pictures at the end of fall harvest. Engagement shoots like this last about an hour, and it was a nice time for this farming couple to take that time to reconnect together. They were busy with the fields and taking care of new baby piglets. Doing all the things they needed to do to wrap up their fall season on the farm. Then add in wedding planning, and these two really had their hands full! 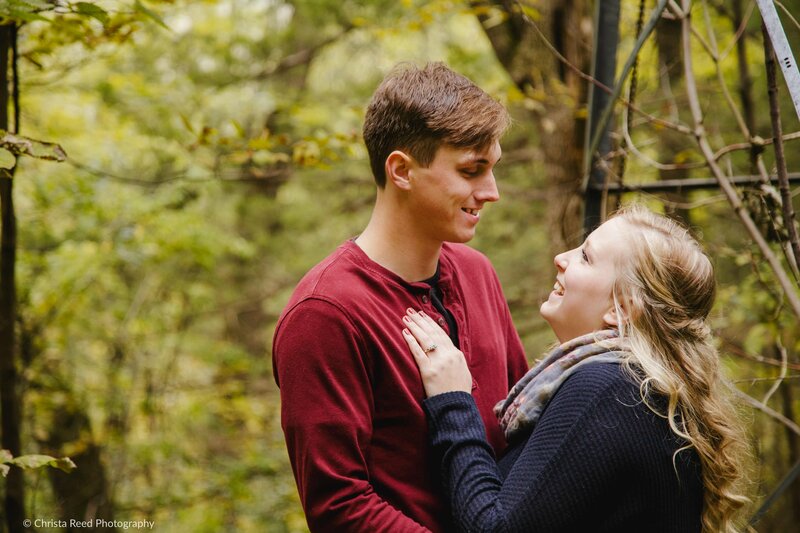 I feel like the engagement shoot time is a nice chance for every couple to be able to breathe, look into each other’s eyes, and feel a little stronger together to face their challenges by shifting focus to themselves for a moment. It started to rain at the end of our shoot, and the atmosphere was full of mist. The shoot became this romantic, quiet time to just be outside and be in the moment. Thank you Madison and Joseph for having a little adventure in Henderson. 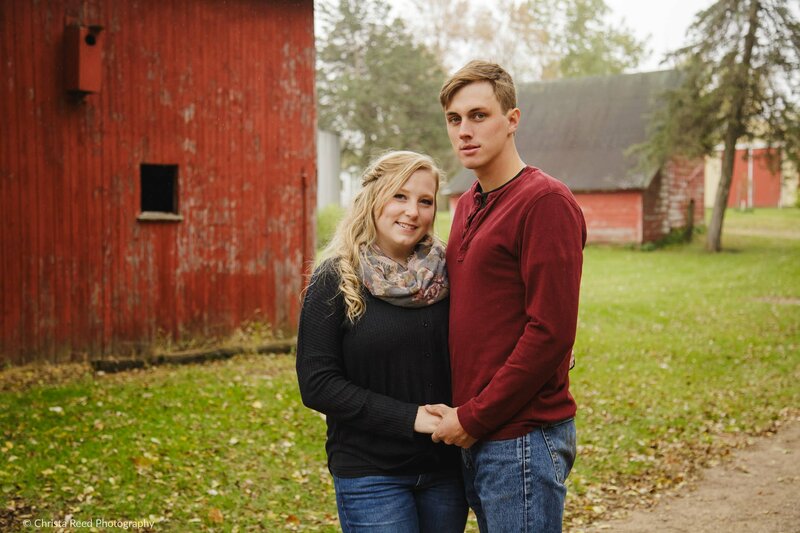 If you’re looking for a Minnesota wedding and engagement photographer, you can contact me via email here. Or learn more about wedding packages here.